Every great pie deserves a great beer to go with it. 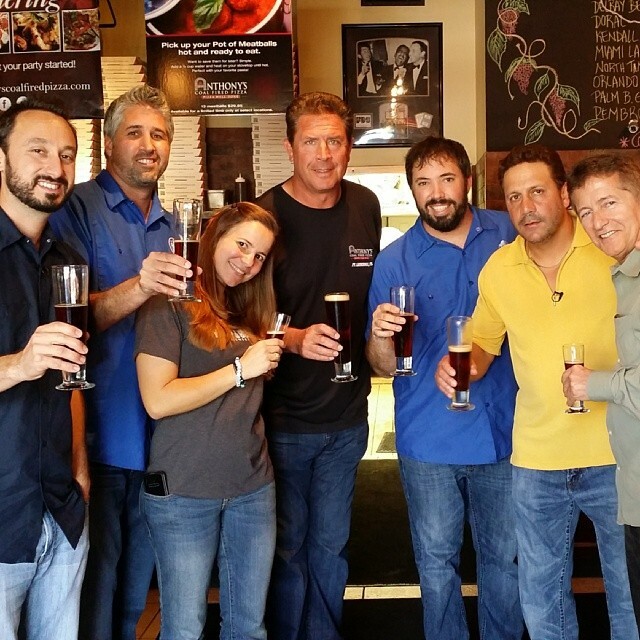 Anthony’s Coal Fired Pizza, the South Florida-based concept that uses authentic coal-burning ovens to create “well done pizza,” teamed with Fort Lauderdale-based Funky Buddha Brewery to create Fuhgeddaboudit Red (5.4% ABV). 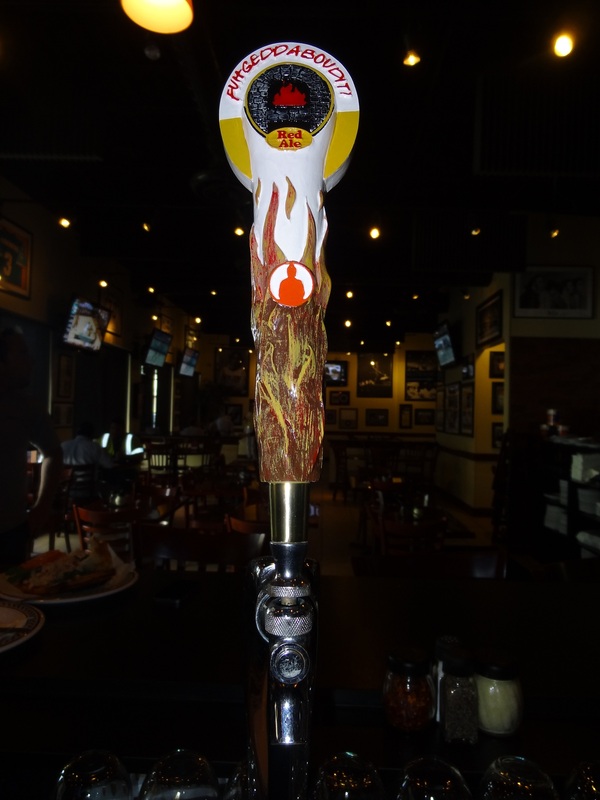 This fiery ale will debut exclusively at Anthony’s 17 South Florida restaurants Friday, Feb. 14. Known for its high energy atmosphere and simple menu, Anthony’s Coal Fired Pizza uses 800-degree coal burning ovens to create a “well done” taste. With a focus on fresh ingredients and authentic recipes, Anthony’s signature menu includes traditional and specialty pizzas with dough made daily and stretched to order; fresh coal-oven-roasted chicken wings marinated in a proprietary mix of olive oil, kosher salt, lemon juice and Italian seasonings; large homemade meatballs from a recipe passed down by Anthony’s grandmother; a classic Italian salad with original dressing; and Eggplant Marino (Dan’s favorite). Anthony’s Coal Fired Pizza was voted Best Pizzeria, Best Wings and Best Local Chain in the 2013 Sun Sentinel/Southflorida.com Best of South Florida readers’ poll, and has been chosen Best Pizza by the Miami Herald, Miami.com, Palm Beach Post and WFLA’s iHeart Tampa Bay. The Brand was featured in the New York Times and has received rave reviews from Newsday. Anthony’s food and service continually are ranked “very good to excellent” by Zagat Survey, the distinguished dining and entertainment ratings guide, and is voted “Top 5 Most Popular” and “#1 Pizza” in Zagat’s America’s Top Restaurants edition. Anthony’s Coal Fired Pizza has locations in Florida, Delaware, Connecticut, New York, New Jersey and Pennsylvania. For more information and store locations, visit www.acfp.com. Or follow Anthony’s on Twitter @AnthonysCFPizza and “Like” us on Facebook at www.facebook.com/AnthonysCoalFiredPizza.